L.B. Bohle is going to present its latest novel technologies and current trends for batch and continuous manufacturing at this year´s Achema. 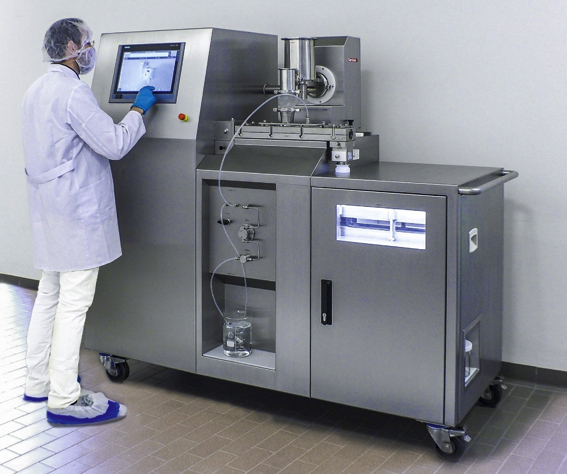 With the QbCon 1, the company is introducing a continuous wet granulation and fluid bed drying for research and development for the pharmaceutical industry. The R&D unit QbCon 1 offers ideal conditions to start a continuous manufacturing operation. Furthermore, it realises real-continuous drying and granulation with very narrow and reproducible residence times in the dryer and stable quality of the granules with regard of moisture and particle size in contrast to the existing systems on the market. QbCon 1 will be unveiled in Europe for the first time at Achema after the development facility celebrated its world premiere at Interphex in April. In addition to this, L.B. Bohle is going to exhibit further machine highlights from its extensive machine portfolio for pharmaceutical oral solids production. The BFC 50 TriPan is a film coater with three exchangeable drums. The coater stands out for its high profitability and is designed for batch sizes of 7-75 litres. From the large range of granulation processes, the single-pot granulator VMA 300 will be presented. VMA realises the operations mixing, high-shear wet granulation and drying in one machine. The roller compactor BRC 25, which is displayed with a lifting column and a feed, guarantees the best compaction results and can be used in batch production as well as in continuous production. With the KA 280, L.B. Bohle presents a tablet checker that controls the mechanical control of the thickness of sugar- or film-coated pills, capsules or tablets and can be used in the pharmaceutical and food industries.